Now, 20 years later, with its own private 2ft (600mm) narrow gauge railway system, Sandstone Estates near Ficksburg has become a unique heritage destination, recognised both locally and internationally as being one of the best in the world, according to Mike Meyers, Sandstone Estates director. This large agricultural estate with its own 26km railway, owns the largest collection of narrow gauge locomotives in the world. 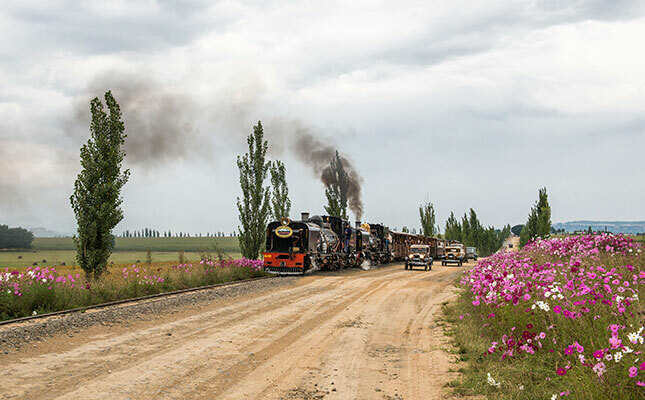 There are more than 50 locomotives on the farm of which more than 30 are operational. The estate also includes an impressive vintage car collection, as well as collection of historic military vehicles. In line with current legislation, the Sandstone Railway is fully compliant with the Railway Safety Regulator (RSR) requirements of South Africa. There is also a collection of nearly 500 farm implements, including old combine harvesters and threshing machines and a fleet of vintage earth-moving machinery. A significant collection of historic military vehicles is also on display. As the collection became diversified over the years, many classic vehicles ranging from trucks and buses, to cars to earthmoving equipment, were acquired. The vehicle collection ranges from a 1915 Model T Ford pickup, to 1930s Model A Ford cars and pre-war British machines, including Morris and MG models.